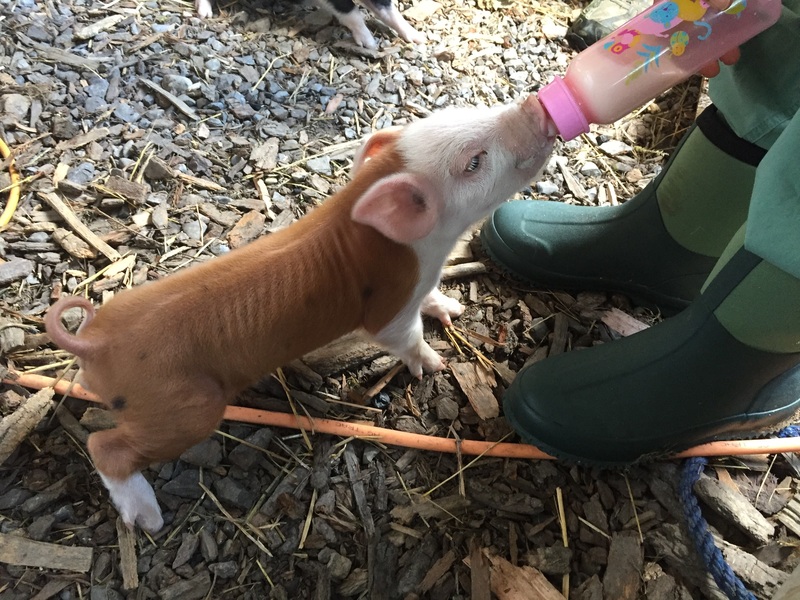 Another view of the piglet feeding from a bottle. They made a lot of noise – lots of squealing and trying to break out of their make-shift cages. Once out of their cages, they were quite fast and good at hiding behind crates and logs. They screamed and squealed very loudly when picked up. 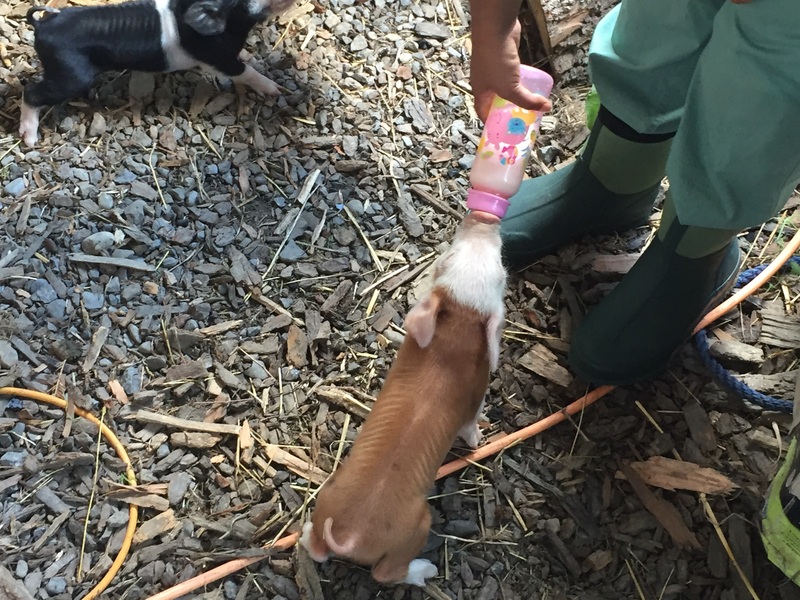 The piglets were fast eaters – finishing off the bottle in less than a minute. 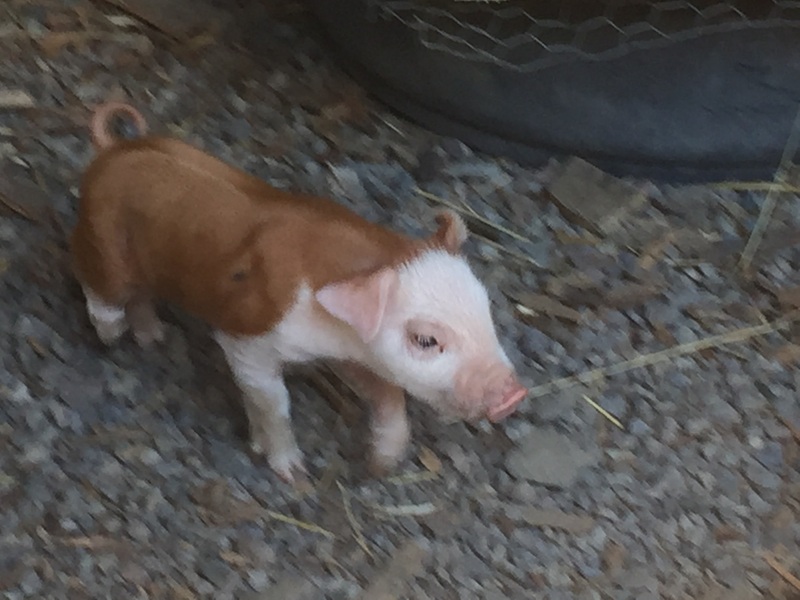 All of the piglets survived and are growing quickly. They are already up to over 40 pounds each after a couple of months. This entry was posted in Animals, Farm and tagged animals, farm by Dan. Bookmark the permalink.